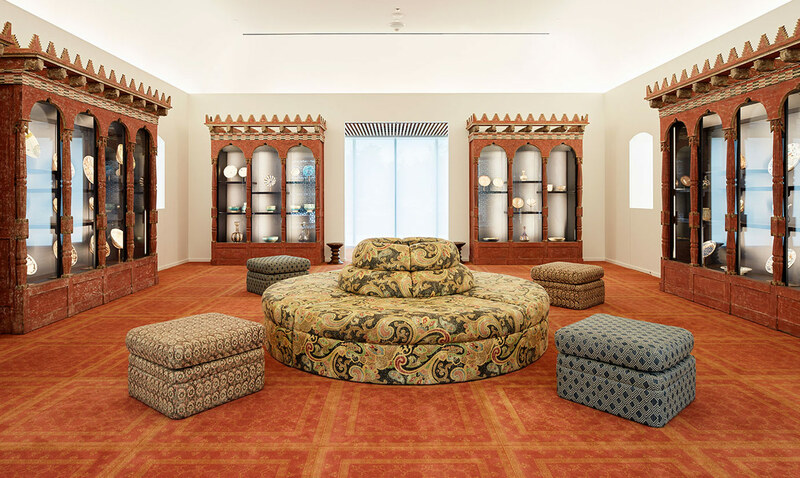 Located on the main floor of the Museum, the Bellerive Room displays a selection from the ceramics collection of the late Prince Sadruddin Aga Khan and Princess Catherine Aga Khan. 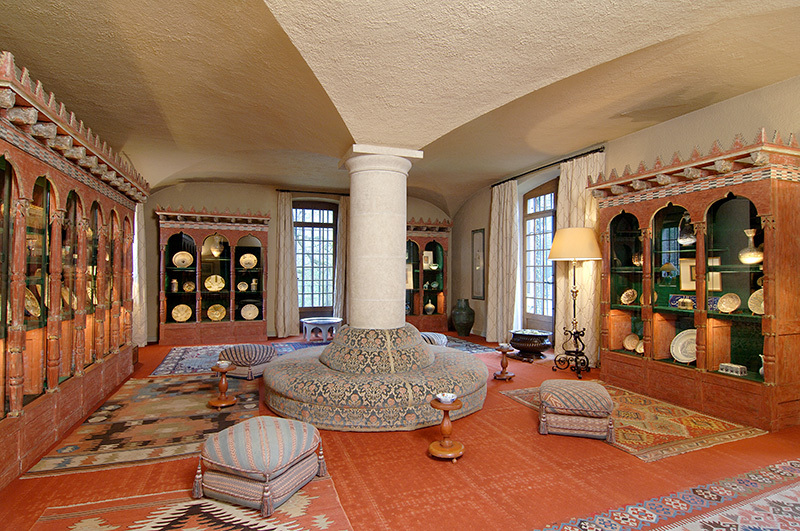 The room is a recreation of the “La Chambre Persane,” or “Persian Salon,” in their home, Chateau de Bellerive in Geneva, Switzerland, where part of the collection was originally on display. There are approximately 60 ceramic objects on view in the Bellerive room. They date from the early Islamic periods through to the 17th century. Their styles reflect the innovative technological and aesthetic contributions of Islamic potters through the ages, which were often in dialogue with influences from as far afield as China and Europe. The Bellerive room in the Aga Khan Museum is free to visitors to enjoy during Museum hours and is available for private functions and other events. La Chambre Persane. Photograph courtesy of the Aga Khan Trust for Culture.